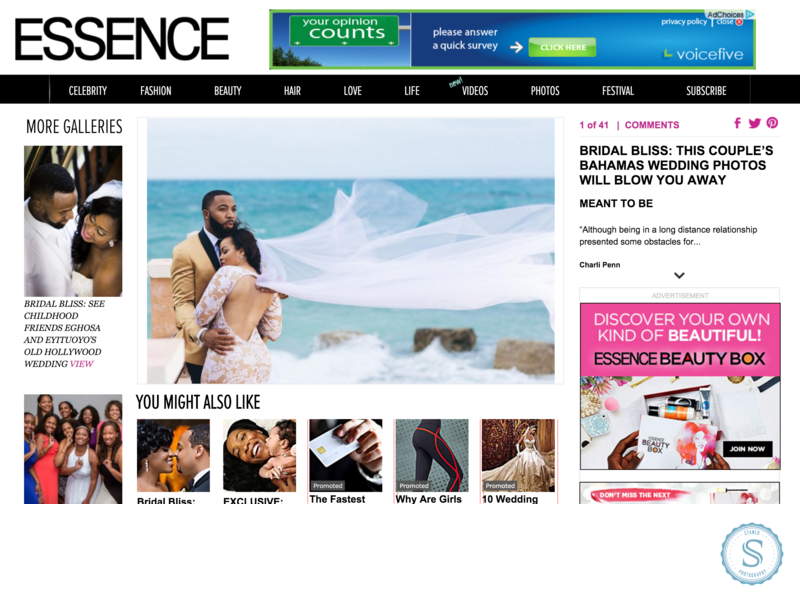 We are so happy to have our Bahamas Wedding Photos featured Essence Magazine. "This couples photos will blow you away" by Charli Penn from Essence Bridal Bliss. Location: Case Al Mare, Nassau Bahamas. Filename: Bahamas Wedding Photos Essence Magazine.png.